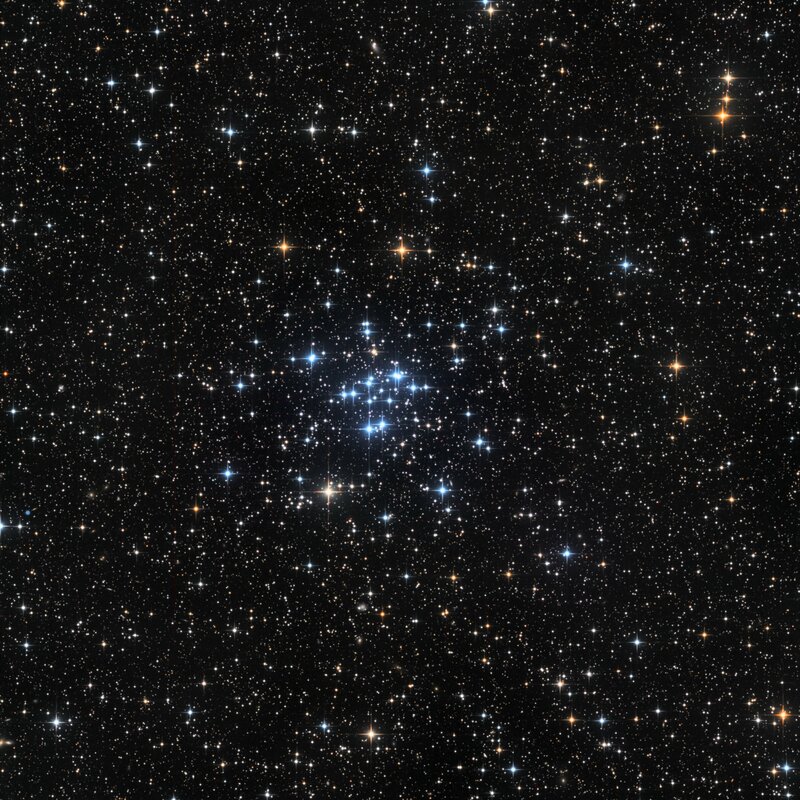 Messier 34 (NGC 1039) is a bright, large open cluster located in the northern constellation Perseus. The cluster lies at an approximate distance of 1,500 light-years from Earth and has an apparent magnitude of 5.5. Messier 34 is a relatively young star cluster, with an estimated age of between 200 and 250 million years. At least 19 stars in M34 are white dwarfs, stellar remnants with a mass about the same as the Sun and a size comparable to that of the Earth. Also worth mentioning is the little blue-green planetary nebula PK 144-15.1 (PN A66 4 or Abell 4) on the extreme left of the picture. I wasn’t aware of this nebula and almost put it outside of the frame. Abell 4 is a small nebula, only 22 arcsec across , and although it is one of the brighter Abell objects, it has a low surface brightness of magnitude 12.4.